McMinn Life is a magazine for the people of McMinn County and those who come to visit. The 43rd President of the United States will be the featured speaker at the Athens Area Chamber of Commerce’s annual benefit, June 22, 2019. The event will be held at McMinn County High School. The proceeds from this event will go toward downtown businesses and the chamber, which was heavily damaged by fire in 2017. Bush’s visit to Athens will mark the first time since 1985 that a U.S. president has visited the McMinn County seat, when President Ronald Reagan spoke from the courthouse steps. 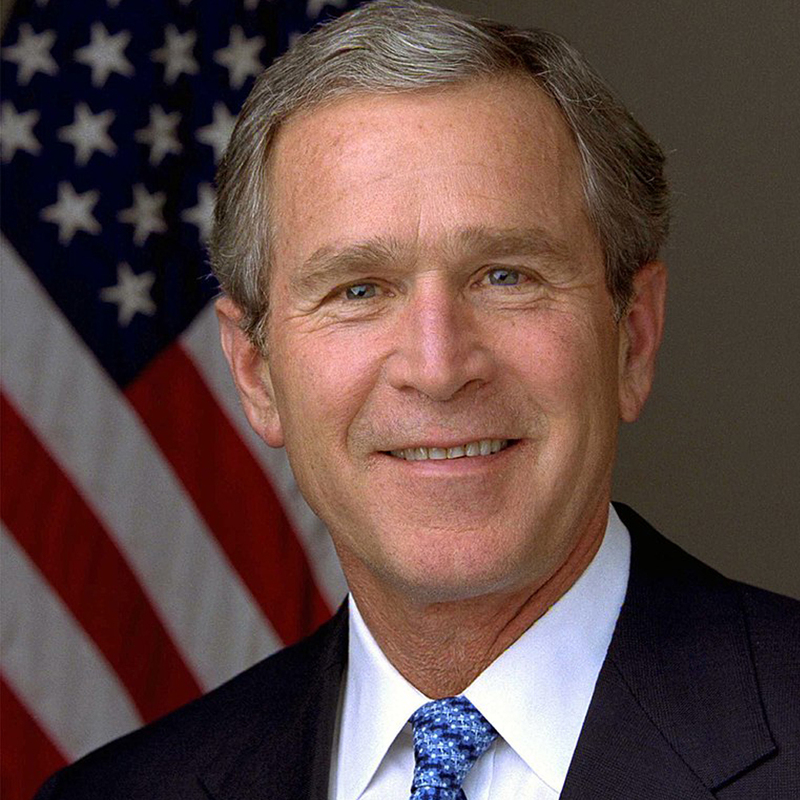 Visit www.athenschamber.org for more information and to purchase your tickets to An Evening with George W. Bush. 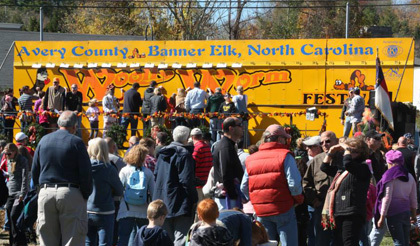 If you’re looking for a family-friendly festival that’s maybe not warm but certainly offers lots of fuzzy, look no further than the Woolly Worm Festival in Banner Elk! The festival originated from regional folklore about woolly worms – those fuzzy little caterpillars – being used to forecast the weather and a need to help drive local tourism to the area. The concept? An annual festival where they would pit woolly worm against woolly worm in a race to see which one could be trusted the most to predict the weather. The first year was very cold, so the worms didn’t go very fast, and there were only three or four vendors. The event has since grown over 40+ years to now having 160 vendors and hundreds of people who come out each year. The event costs $6 for adults, $4 for children (ages 6-12) and children 5 and under are free. All proceeds go back to the community. For more information, visit www.woollyworm.com. The Sequoyah Birthplace Museum in Vonore opened in 1986 to promote the understanding and appreciation of the Eastern Band of Cherokee Indians history and culture. The centerpiece being the life and contributions of Sequoyah, creator of the Cherokee Writing System. While enlisted in the War of 1812, Sequoyah became to understand the power of written word. After the war, with no ability to read or write himself, Sequoyah started his work to create a writing and writing system for the Cherokee language. In 1821, after 12 years of work, Sequoyah introduced his syllabary to the Cherokee people. Within months thousands of Cherokee became literate. By 1828 they were publishing the “Cherokee Phoenix”, the first national bilingual newspaper. Sequoyah was awarded a silver medal by the Cherokee Nation for his contributions and service to the Cherokee people, a dedication he continued as a statesman and diplomat until his death. For the past thirty years, Sequoyah Birthplace Museum has successfully promoted this history, the continued goal of the Eastern Band of Cherokee Indians for the museum. The Sequoyah Birthplace Museum has completed the major renovation that began last year. The new museum experience includes the latest audio-visual technology bringing the Cherokee Nation and the man, Sequoyah to life. Innovative exhibits are now enjoyed within the two main theaters, assorted audio-visual programs throughout and life-cast figures created from living models to present Sequoyah in age progression from 10 years old to about 45 years of age. The new collection of artifacts and engaging exhibits illustrates the forward thinking of this great man and takes each visitor back in time unfolding history. The 2.7 Million Dollar Renovation Is Complete! Advanced media technologies and electronics enhance visitors’ enjoyment of this all new exhibit. 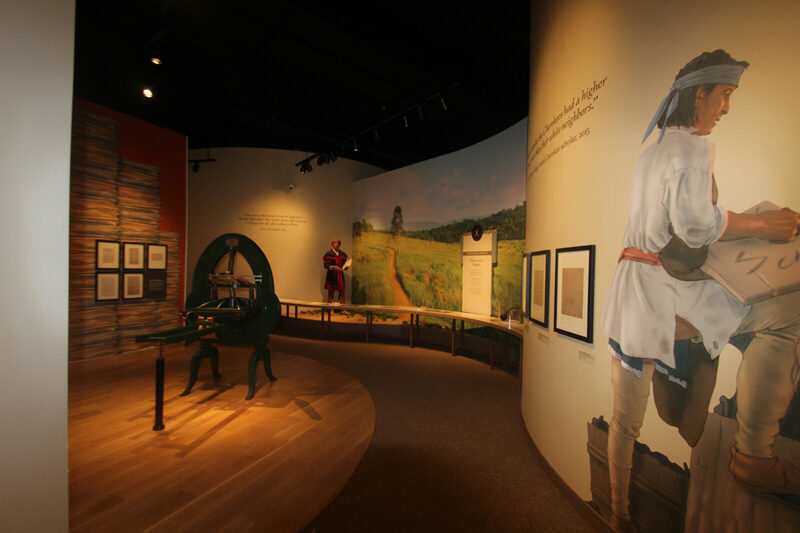 It portrays the Cherokee life and the legacy of Sequoyah in an all new multi-million dollar remodeled museum open now! The modern museum includes videos, dioramas, new additions to the Native American artifacts, paintings and interactive tools telling the story of this great man and the Cherokee Indian people. As far back as the 1930s, there are documented instances of locals referring to the small town of Englewood as Saginaw. While the nickname is deeply rooted in the town’s history, there appears to be no one who can give a definitive answer as to its origin. 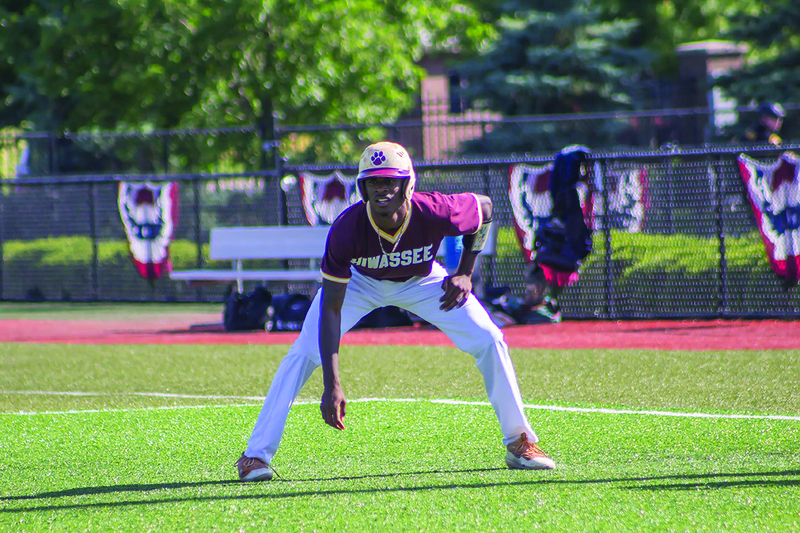 Nevertheless, the name has stuck and over the decades and has been displayed on everything from Englewood School’s gym floor to shirts and uniforms. From time to time it has even been known to be the inspiration for some local body art.This well-known moniker will now have a place in the town’s yearly festival when the Community Action Group of Englewood puts a new spin on an established local favorite. As CAGE hosts the 33rd Annual Englewood Celebrates on June 30, 2018, they will feature a unique addition to the celebration called the Saginaw Sweet Corn Festival.The idea for the Sweet Corn Festival came after a conversation between CAGE members Gail Anderson and Frances Powers about “freshening up” Englewood Celebrates.“We are so proud of what Englewood Celebrates has become and how it has continued to grow,” Anderson said. “I just felt like it was a good time to do something outside of the box and really expand the event. Given Frances’ experience with Niota’s Fried Green Tomato Festival, I knew she would be the right person to consult.”Powers said she was very happy to offer suggestions and to help get the Sweet Corn Festival on its feet.“I told Gail that what I believed CAGE needed was a festival that highlighted some kind of southern cuisine,” Powers said.“It actually just came to me during our conversation that no town around us has a corn festival.”With sweet corn playing such a crucial role in southern life and Saginaw being a uniquely Englewood name that many locals connect with, the two felt like the idea was a homerun. After the initial meeting, Powers was off to the races to make the Saginaw Sweet Corn Festival in to a roaring success. The festival is expecting approximately 75 food and craft vendors, numerous musicians as well as the Peaches and Cream Beauty Pageant for young ladies. All food vendors will feature a sweet corn dish at their booths.CAGE Vice President and co-coordinator of the Sweet Corn Festival Bobbie Dickson, said she is especially enthusiastic about the increased number of vendors.“Having so many new merchants who are cooking and selling various items for the Sweet Corn Festival will really give Englewood Celebrates a larger feel,” Dickson said. “I think our regular festival-goers will be pleasantly surprised at the increased number of visitors at this year’s event.”Along with the many new things taking place at the 2018 Englewood Celebrates, attendees will also experience many of the traditional favorites such as the pancake breakfast, bluegrass music, tractor show, Sockhill 5K and the evening Square Dance on Main Street.Although there are many new additions to the festival, Anderson said Englewood Celebrates will serve the same purpose as it did 33 years ago.“Englewood Celebrates started as a part of the Tennessee Homecoming 1986 initiative by Governor Alexander to bring small towns together to celebrate their culture and history,” Anderson said. “While this year’s event will have a little bit different look it will have the same goal as it has had for over three decades. The people of Englewood never let us down, and I can’t wait see how many folks come out to celebrate with us.”The origin of Englewood’s nickname will continue to be debated and discussed for many years to come. Although the story of Saginaw will likely remain a mystery, it is the hope of the Community Action Group of Englewood that people will always remember when and where the Saginaw Sweet Corn Festival began and the positive and lasting effect it had on the town. Every Monday night for an hour and a half, St. Paul’s Episcopal Church is alive with the sounds of music. It is Athens Area Children’s Choir practice time and the young choral group takes it very seriously. They sing their hearts out striving for perfect harmony. Not a soul is pretending to sing. Directed by Ellen Kimball, with piano accompaniment provided by Tennessee Wesleyan music major Tristen Rowland, this choir excels and their bookings are increasing all the time. Choir leadership changed over time and by the early 2000’s the AACC was no longer operating. However, one choir member never forgot how wonderful it was to be a part of such a great choir. 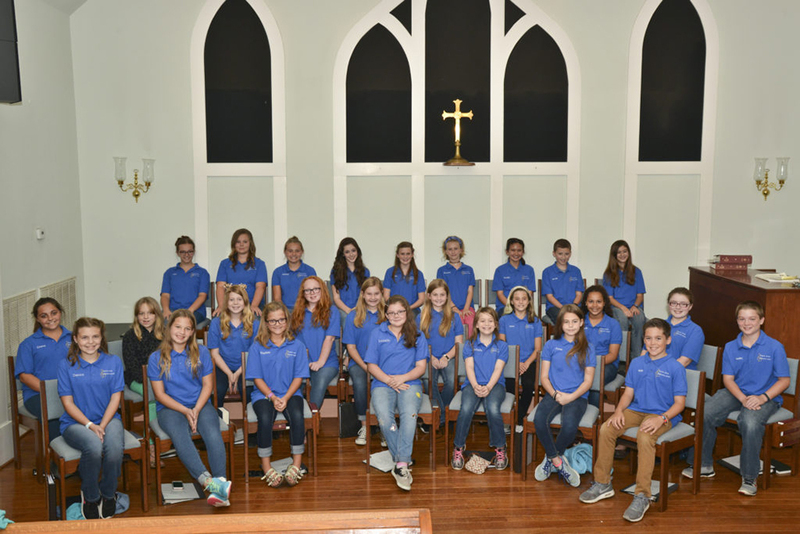 Lauren Brown Shepherd had the chance to revive the children’s choir when she became the Executive Director of the Athens Area Council for the Arts. Lauren felt that being a member of the choir had been life-changing for her and she wanted children of this era to be able to have the same opportunity. The choir went to the Biltmore on November 26 to perform during their very popular Candlelight Tour. There they performed five times, 30 minutes each, from 5:30 p.m. until 10:30 p.m. Biltmore has required that all music performed must have been written before 1940. They sang at the tree lighting at Old Fashioned Downtown Christmas on Friday, November 17, and on December 10 at the Sunday performance of Christmas and All That Jazz at the Arts Center. 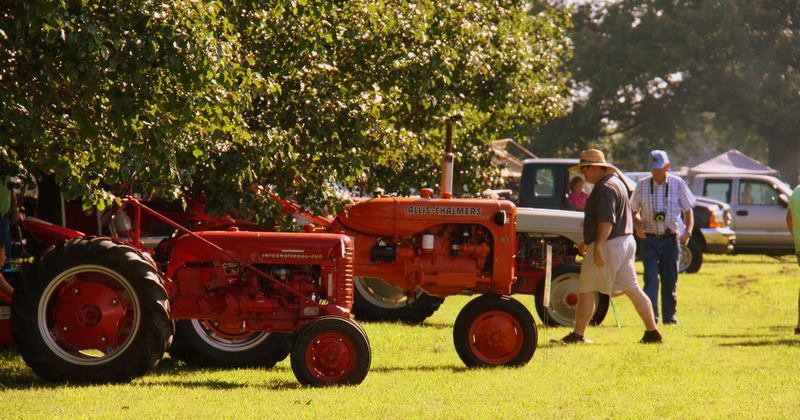 Pumpkintown is one of the premier fall festivals in East Tennessee and one of the largest annually attended events in McMinn County for 14 years! Pumpkintown celebrates the history, heritage and harvest unique to this area, with activities for all ages. This year’s event will be held Saturday, October 14th from 10 a.m. until 5 p.m. in historic downtown Athens. This year we’re excited to welcome the East Tennessee Corvette Club with forty cars on display. Christ’s Legacy Academy’s 5K run/1 mile fun walk makes its debut to the venue as well as the return of longtime favorites. Live entertainment on Market Park Pavilion stage and the Courthouse Steps Bluegrass Stage includes Shane Lowe, Stormy & Adrian, Reliance Bluegrass Band, Maziaah Mountain, September Song, Dreams of Kings, Athens Area Children’s Choir and Momentum Academy Dance. Pumpkintown will also feature the heartfelt events it has become famous for. 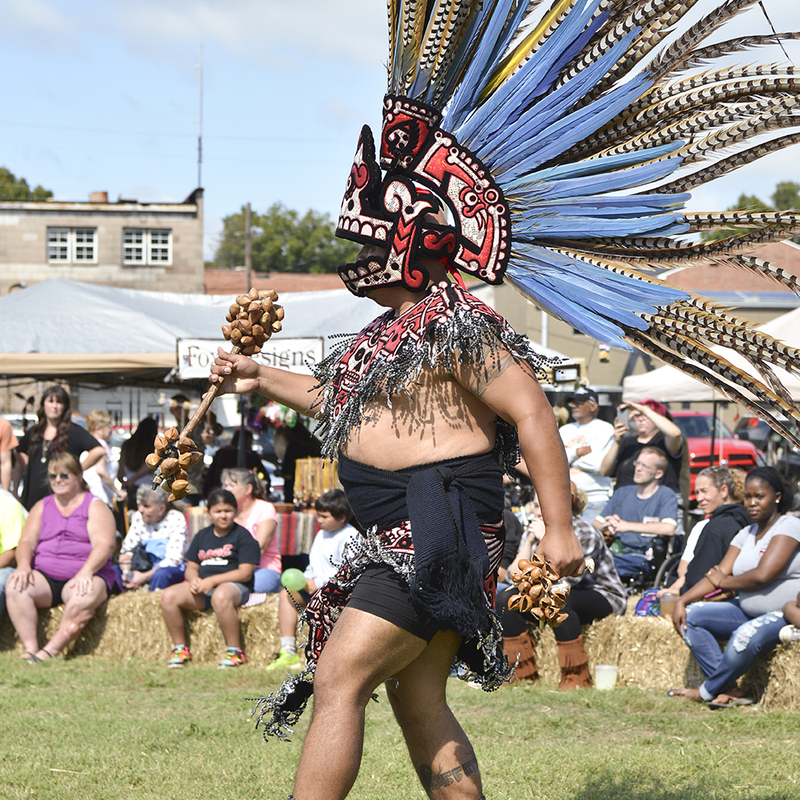 The famous McMinn Regional Humane Society’s Adopt-a-Thon, Mutt Strutt and Doggie Costume Contest; the Scott Crisp Memorial PowWow; and the Living Heritage Museum Quilt Show are back again along with over 200 craft, food and art vendors. With every walk with Nature, one receives far more than he seeks.” -John Muir.Visitors are drawn to the Southeast corner of Tennessee from all over the country to explore the beautiful natural landscapes of the Tennessee Overhill region, a three-county area that includes the southern half of the Cherokee National Forest (CNF). One of the major draws to the Overhill is the natural beauty of the mountains and rivers located throughout the area. There are hiking trails, four rivers, two blueways, numerous lakes and over 60 waterfalls. Hiking is one of the most popular sport activites.It’s easy to pinpoint why hiking is such a popular pastime here and across the United States. There is the easy accessibility–there are so many trails and countless marked and unmarked offshoots to explore and capture your fascination. Getting started is as easy as putting one foot in front of the other. Our challenging treks will keep even the most expert hikers on their toes, and there are so many family–and dog–friendly trails. I believe the popularity is just the excitement of witnessing and experiencing the beauty and diversity of nature and feeling the land beneath your feet.Whatever it is that drives you to lace up your boots and head out on the trail, our Tennessee trail system will not disappoint. 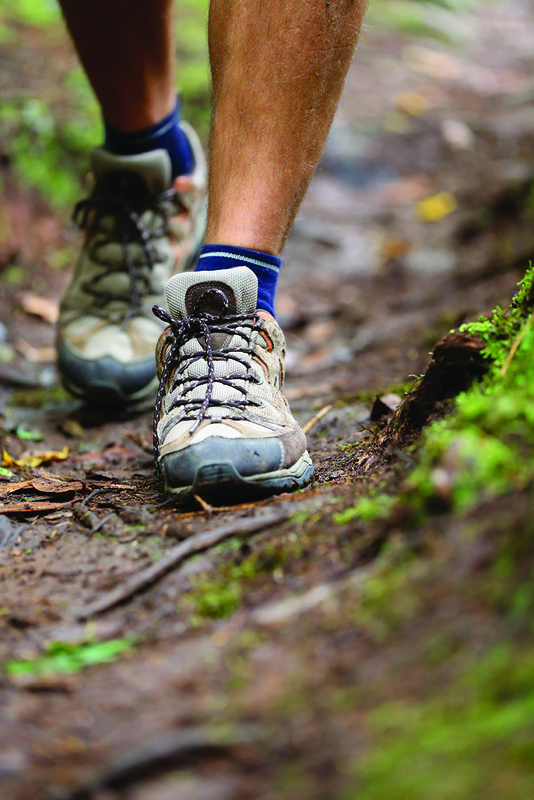 There are over 400 miles of hiking trails in the Overhill alone to satisfy your imagination. So let’s take a hike!With so many awe-inspiring trails in this area, where do we start? There are two National Recreation Trails in the Cherokee National Forest(CNF) – the John Muir Trail and the Warrior’s Trail. The newest distance trail is the Benton MacKaye Trail.John Muir Trail – The John Muir National Recreation Trail is a 20.7-mile trail in eastern Tennessee along the north side of Hiwassee River in the Cherokee National Forest. It is named for naturalist John Muir. It was constructed in 1972 through the efforts of the Youth Conservation Corps and the Senior Community Service Employment Program. It is said to follow the path taken during Muir’s travels from Kentucky to Florida in his book A Thousand Mile Walk to the Gulf. In it, he wrote…“My path all to-day led me along the leafy banks of the Hiwassee, a most impressive mountain river. Its channel is very rough, as it crosses the edges of upturned rock strata, some of them standing at right angles, or glancing off obliquely to right and left. Thus a multitude of short, resounding cataracts are produced, and the river is restrained from the headlong speed due to its volume and the inclination of its bed.”Warrior’s Trail – Warrior’s Passage Trail is an 8.5-mile moderately trafficked out and back trail located near Tellico Plains that offers the chance to see wildlife, and it is rated as moderate. The trail offers a number of activity options and is best used from March until October. I think this is a good trail for a peaceful walk; the trail is not worn down, and the turns are well marked.Benton MacKaye Trail (BMT) –The Tennessee position of the BMT runs though the Big Frog Wilderness to the Ocoee River and Hwy 64, for a distance of 92.8 miles. The complete trail begins on Springer Mountain, GA, and ends at Big Creek Campground at the northeast end of the Great Smoky Mountains National Park. BMT was completed by volunteers between 1980 and 2005. It is largely a wilderness trail with few amenities or facilities. Although many sections of the BMT provide comfortable and scenic day hikes, their remoteness often makes access difficult to find, but its beauty is well worth it.I highly recommend the following adventure hikes, each one with an amazing magical surprise at the end, a “Waterfall.”Polk County -Benton Falls Trail – From U.S. Hwy 64, follow the Ocoee Scenic Byway up FS (Forest Service) Road 77 approximately 7.5 miles to Chilhowee Recreation Area (McCamy Lake). The trailhead is located at McCamy Lake parking lot. It’s a 3-mile round trip, rated easy to moderate. The Fall is 65 feet high, making it a hikers’ favorite.Rock Creek Gorge Trail – From the Ocoee Ranger Station, turn left onto U.S. Hwy 64 and travel 2.3 miles to TN Hwy 30. Turn left and go about 50 feet. The Trailhead will be on the left with roadside parking on the right. 3.4 miles round trip, moderate to difficult. It takes you into the Rock Creek Gorge Scenic area, known for its beautiful waterfalls.Coker Creek Falls Trail – From TN 68 in Coker Creek, turn right onto Ironsburg Road (C.R. 628) and continue 0.25 mile. Turn left onto Duckett Ridge Road for 3.5 miles. Turn left onto FS (Forest Service) Road 2138 for 0.9 miles to the Trailhead parking lot. 3 miles round trip, rated easy to moderate.Lowery Falls Trail – From U.S. Hwy 411/TN Hwy 30 junction near Reliance, travel east 2.2 miles on Hwy 30. Park at Taylor’s Island parking lot on the left side of the road. Walk on Hwy 30 about 0.15 mile. Sign for the Trailhead (Trail 168) is located on the right. This area provides the hiker views of the waterfalls, rock bluffs and rhododendron thickets. Short hike, 0.4 miles round trip, moderate to difficult.Gee Creek Falls – From U.S. Hwy 411 in Delano, turn onto Gee Creek Road (mountain side of highway). Cross over railroad tracks and bear right. Travel 2 miles; the paved road becomes a dirt road ending at FS Trail 191 Trailhead in parking area. Round trip 2.0 miles, hike rated easy. Spring flowers dot the path.Monroe County -Conasauga Creek Fall Trail – From Tellico Plains, travel south on TN Hwy 68 2.9 miles. Turn right onto FS Road 341 and go about 2.3 miles and turn right onto FS Road 341A for 0.5 mile to the Trailhead of CNF Trail 170. Trail 170 is 1-mile round trip, moderate difficulty. The waterfall is 35 feet. What a glorious view awaits!Fall Branch Fall Trail – Approximately 1.5 miles from the Cherohala Skyway on CNF Trail 87. Travel onto TN Hwy 165 E (Cherohala Skyway) 20.9 miles. Park at the Rattlesnake Rock West pull-off, on your left. Take Trailhead FS Trail 87. 2.6 miles round trip, moderate to difficult. This trail starts on an old road bed, then it cuts right, down a very steep hill. Not difficult to get down, but tough to get back up. But it is so worth the magnificent 70-footfalls. This is many hikers’ favorite.Holder Cove Trail –From Tellico Plains, take Cherohala Skyway (TN Hwy 165) about 5.5 miles. Turn right onto FS Road 210 (Tellico River Road) and go about 13 miles, arriving at Holder Cove Campground. Trailhead to falls is at the west end of the campground on the right-hand side of the road across from the camp restrooms. This is an easy trail and only 0.25 miles, but it is not normally marked. You must look for the worn trail between the trees.Torino Falls Trail –From Tellico Plains, take Cherohala Skyway (TN Hwy 165) approximately 5.5 miles. Turn right onto FS Road 210 (Tellico River Road) and go 9.8 miles. Turn right onto FS Road 126 (Bald River Road) and go approximately 6.4 miles to the south Trailhead of FS Trail 88. Cross the bridge over Little Cove branch, and the parking area is on the right. FS Trail 88 Trailhead is on the right side of the road before the bridge. The waterfall is about 2.2 miles up Trail 88, and it is an easy hike.Trail Safety: Most of these trails have no cell service. Ensure you have enough time to get to your destination and then your return trip before dark. Let someone know where you are going and when you will return. Situational Awareness of your current and future weather is essential. Wear appropriate footwear. Do not wade streams to get to a waterfall. Be prepared. Bring water, food, appropriate clothing, bug repellent, flashlight, etc. Do not disregard “No Trespassing” signs.All the waterfall hikes listed above are in the Cherokee National Forest.Check out a few of our area Hiking Clubs. They have many organized hikes that you could join. They also have volunteer groups for trail maintenance and upkeep. Cherokee Hiking Club, Benton, TN: http://www.cherokeehikingclub.org/ Sequoyah Hiking Club, Madisonville, TN: http://wwwsequoyahhikingclub.org/ There are so many more hiking trails in the Tennessee Overhill and throughout East Tennessee, and I have only mentioned a few. For more information, contact the Tennessee Overhill office 423-263-7232 or visit our office at the L&N Depot Station in Etowah, TN. Ask for our newly updated Waterfall brochure and Visitor’s Guide. 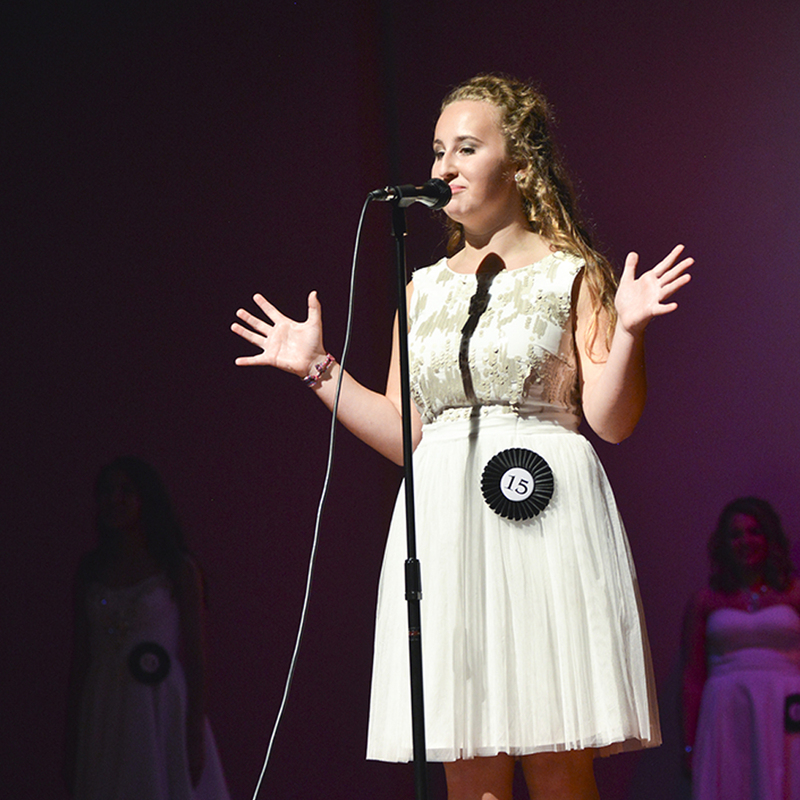 The Distinguished Young Women Program (formerly known as Junior Miss) is the nation’s oldest and largest program of its kind for junior and senior level high school girls. In McMinn County, it is sponsored by the Optimist Club. The representative that wins the local event goes on to compete in the state event and then on to the national competition. Jackie Newman, Optimist member, has been chairperson of the event for eight years, having assisted for many years prior to that with long-time chair, Larry Rhodes. It is an intensely time-consuming endeavor. The girls practice from the end of February two days a week for 14 weeks and then every day the last week prior to the event, which is June 3rd this year. According to Jackie, it is well worth all the time she spends. “It is such a self-confidence builder. It is so rewarding to see even the most shy girls evolve into outgoing young ladies.” The girls learn life skills such as interviewing, public speaking and self-confidence building. It takes an army of volunteers to successfully coordinate an event as large as the Distinguished Young Women competition. One of the volunteers, Lacey Starkey, has volunteered countless hours helping with both dance and talent routines during practice for the past 16 years. The 2001 winner of the prestigious award says, “It is my desire to motivate (the girls) and reassure them that they all have worth. I hope that one day, if one of my three girls decides to do the program, someone makes the sacrifice that I have and takes the time to enrich their lives.” Lacey has also performed with her father’s “Jr. Miss Band” for 15 years at the event, and they both love every minute of it! The Distinguished Young Women event is scheduled for June 3rd at 6:00 p.m. at the Athens Middle School auditorium. The representative selected will receive a scholarship from the Optimist Club and the chance to compete at the state and national levels. All participants will receive a $1000 scholarship from Tennessee Wesleyan University. Tickets are available at the Middle School the week prior to the event or from any of the participants or Optimist Club members. Friday, November 4, 2016. Hugs and smiles abound as people greet each other at Cooke Ministries Center. The aroma of good food fills the air. Today’s menu is roast beef, mashed potatoes, green beans, slaw, rolls, drinks and all kinds of desserts. Meals will be served by volunteers at noon, and after everyone is full, there will be devotions and singing led by enthusiastic volunteers. Before people leave, they can fill up on giveaway food items such as fresh produce, breads and dairy products, donated by Food City and collected twice a week by Tennessee Wesleyan University Service Leadership students. Every Monday and Friday approximately 100 people come to Cooke Ministries not only to have a nutritious meal, but to fulfill spiritual and social needs as well. The year 2009. Tanya Murphy was no stranger to hard times. In fact, there was a time during 2009 that she was jobless and homeless. Even in these circumstances, she felt led by God to be the hands and feet needed to give people a hand-up and help them get back on their feet. Grace and Mercy Ministries started when Tanya asked the community to bring canned goods and leave them on the steps of Keith Manson (Forest Home). The response was generous. Tanya cooked the donated items and served fellowship and food to the homeless out of the back of her van for eight months. August 2010. The community learned mostly by word of mouth how Tanya was helping the homeless, and soon she was invited to speak to civic organizations and churches to tell the story and let people know how they could help. Becky Jaquish, a member of the McMinn Ministry board of directors, heard her speak and invited Tanya to address her board. A prayer was answered when the board agreed to let her use Cooke Ministries Center for her ministries. Grace and Mercy Ministries has come a long way in a short time. It is now a 501©3 non-profit organization governed by a board of fourteen members and is a United Way Partner Agency and a member of the Chattanooga Food Bank. It has also been able to add a van ministry to pick up people that have no other way to get to Cooke Ministries Center.